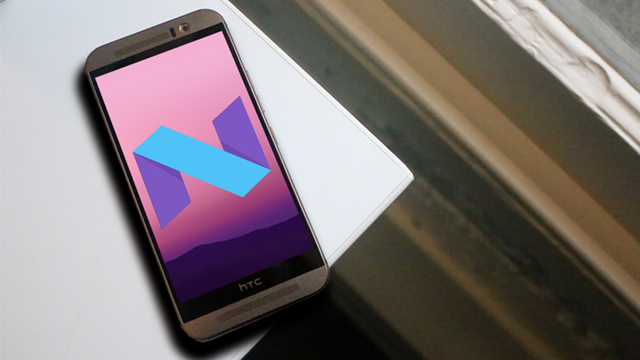 The Android 7.0 Nougat update for the HTC One M9, is rolling out to the unlocked variant of the 2015 flagship. HTC announced the news on its twitter account today. The update will be rolled out to carrier variants of the HTC One M9, early next year. 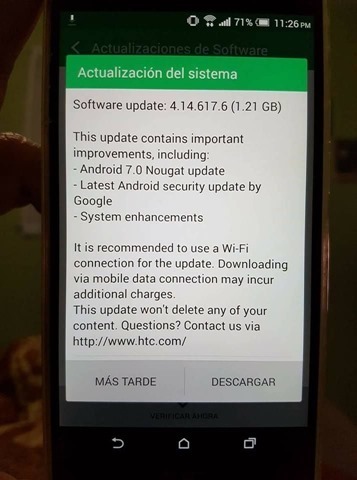 Some users have reported that they have already received the update, on their HTC One M9. A twitter user (hoang555) posted the following screenshot of the change log. The Android 7.0 Update for the HTC One M9, has the version number 4.14.617.6, and OTA download size is 1.21 GB. The release notes are rather generic, mentioning that the software update is for the Android 7.0 Update, includes latest Android security update from Google, and system engancements. So we do not knw what improvements are there,in HTC Sense.UI. It was only about ten days ago, that HTC released the Android 7.0 Nougat update for the HTC 10 unlocked variant. So it is pretty surprising that the company is rolling out a similar update for last gen's flagship, and that too before most OEMs have yet to update their 2016 flagship Phones. It is this kind of dedication, which makes us want to tip our hats, to HTC, for its incredible update support.